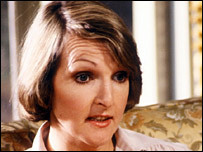 Veteran actress Penelope Keith, best known for her roles in The Good Life and To the Manor Born, has been made a CBE in the New Year Honours List. Born Penelope Anne Constance Hatfield on 2 April 1940 in Sutton, Surrey, she first became interested in acting aged six while at boarding school. Parts in The Avengers and The Morecambe and Wise Show were among her first television appearances. 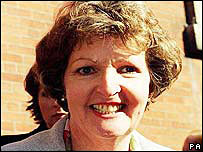 She went on to win two BAFTA awards, and in 1989 she was made an OBE. Being rejected from her first drama school for being too tall did not deter Keith, who eventually graduated from the Webber Douglas Academy of Dramatic Art in London. She later joined both the Royal Shakespeare Company and the Aldwych Theatre. Starring alongside Richard Briers and Felicity Kendall in the 1975 BBC sitcom The Good Life really helped Keith make a name for herself as a comedy actress. Initially Keith's role as Margo Leadbetter was merely a peripheral figure. However, as the show progressed and Margo's intense snobbery became more popular, Keith's role was made larger. In 1977 she was awarded a Bafta for her performance. 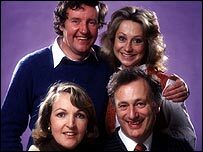 Following the success of the series, each of the four main stars were given their own programme. From 1979 to 1981 Keith played Audrey fforbes-Hamilton in another BBC comedy, To the Manor Born. The actress had become such a household name that in 1984, a rose was named after her. With her career going from strength to strength Keith went on to appear in five other sitcoms as the main lead, including Executive Stress, No Job for a Lady and Law and Disorder. Keith's most recent part was opposite EastEnder's June Brown in Margery and Gladys. Despite being well known for comical performances on television, Keith has also proven to be successful on stage. Her best known theatre appearance, in 1974, was playing Sarah in The Norman Conquests, a role she later reprised on TV. In 1978, she married Rodney Timson, a former policeman and 10 years later the couple adopted two brothers. In 2002 Keith was appointed nominated as High Sheriff of Surrey - a role which is historically responsible for the safety of judges within the county - and a year later she helped launch the UK Forces Gulf Fund which was set up to support British forces serving in Iraq.